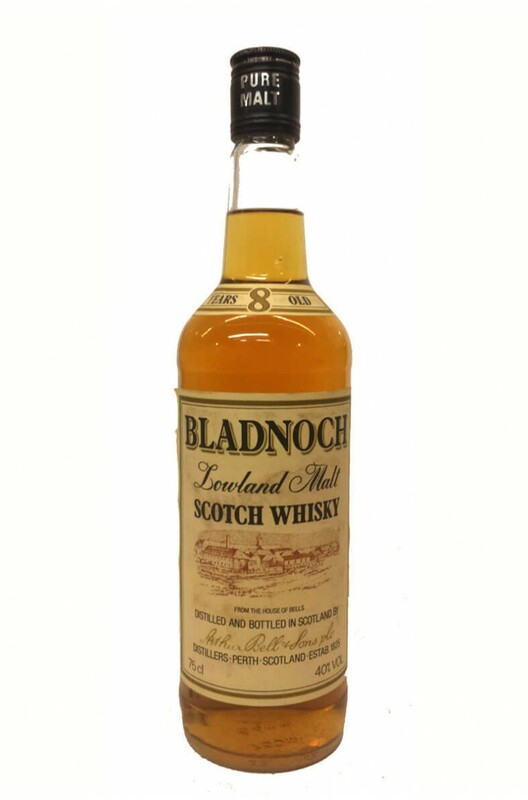 A rare old bottle of Bladnoch from the early to mid-1980s. At this time the distillery was owned by Bells who used most of the production in their blends. Bells was absorbed in the UDV group (now Diageo) and the distillery closed in 1993. Later it was reopened by Raymond Armstrong from Northern Ireland, however it is currently closed and up for sale again.